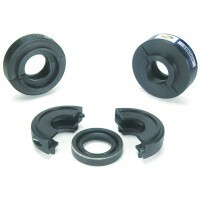 Tides Marine Spare Seal Carrier Kits	There are 25 products. 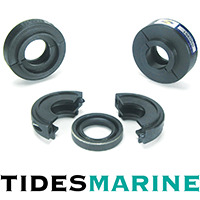 Tides Marine's Spare Seal Carriers are a convenient device for storing spare lip seals on the propeller shaft between the SureSeal / StrongSeal and the propeller shaft coupling. The SureSeal / StrongSeal design allows you to replace worn lip seals in the housing with these spare lip seals without uncoupling the shaft from the transmission - even while in the water. The spare lip seal carrier is a lightweight, two-piece composite housing which is clamped over the spare lip seals and onto the propeller shaft, available in both imperial and metric sizes. 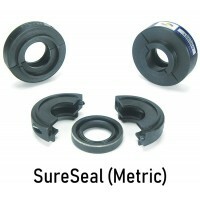 K-0875-00 / For Shaft OD: 7/8"
KF-1000-00 / For Shaft OD: 1"
KF-1125-00 / For Shaft OD: 1 1/8"
KF-1250-00 / For Shaft OD: 1 1/4"
KF-1375-00 / For Shaft OD: 1 3/8"
K-1500-00 / For Shaft OD: 1 1/2"
K-1625-00 / For Shaft OD: 1 5/8"
K-1750-00 / For Shaft OD: 1 3/4"
KF-2000-01 / For Shaft OD: 2"
KF-2250-00 / For Shaft OD: 2 1/4"
KF-2500-00 / For Shaft OD: 2 1/2"
K-2625-00 / For Shaft OD: 2 5/8"
KF-2750-00 / For Shaft OD: 2 3/4"
K-3000-00 / For Shaft OD: 3"
K-3250-00 / For Shaft OD: 3 1/4"
K-3500-00 / For Shaft OD: 3 1/2"
K-3625-00 / For Shaft OD: 3 5/8"
K-3750-00 / For Shaft OD: 3 3/4"
K-4000-00 / For Shaft OD: 4"
K-4250-00 / For Shaft OD: 4 1/4"
K-4500-00 / For Shaft OD: 4 1/2"
K-5000-00 / For Shaft OD: 5"
K-5500-00 / For Shaft OD: 5 1/2"
K-6000-00 / For Shaft OD: 6"